Lovely felt strawberry just for fun, kitchen decor or lovely pincushion! This pattern will show you how to create a 3" and 6" felt strawberry. You can download this PDF pattern immediately after purchase. See the pattern download page for more details. No sewing machine required. Strawberry is cut and glued together. 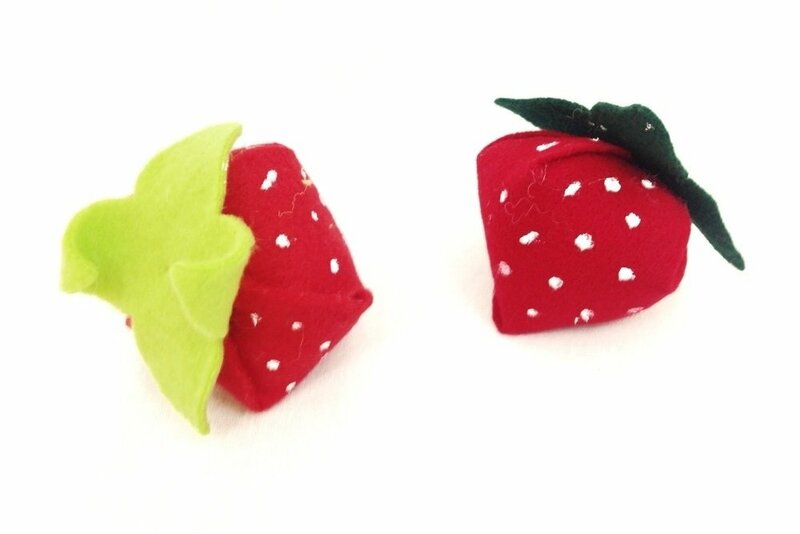 These yummy strawberries are made from felt fabric.